I look back on what has been my first year as ‘Natter Leader’ and can say it has been a real pleasure. We are a very social lot in North Yorkshire, looking through my Natter Notes for the past year, there has been over 40 events that we have actively run or taken part in. The most money raised for Charity and more miles driven to Centre Events run by us or other Centres, both here and abroad. Merry Christmas and a very happy MG’ing New Year – Roll on 2019! SY provided marshals for the MCC’s Edinburgh Trial again this year, spending a cold wet day on a hill in Derbyshire. It’s always the same hill but it gets steeper every year. A few of our members took part in the Autumn Leaves Run, organised by our friends in the Tyne Tees Centre and what a great weekend it was. The natter evening was spent doing the inter natter quiz, but did we do enough to win against the other Yorkshire Centre Natters? The October Natter taxed the grey matter as we selected the team to represent us in the Centre Quiz. Rays Autumn run battled against some of the worst weather for a decade and some of us were washed out before we could get to the start. The Natters are at the Half Moon Elloughton on the second Thursday of the Month at 07.30pm. 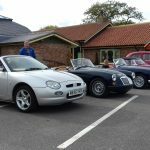 Another MG-ing year nearly gone, is your car being tucked up and sorned for the winter, then time to start planning what events to attend in 2019. This month’s meeting (natter) on Tuesday 18th December will be our seasonal Faith Supper. Let’s hope everyone gets what they wish for at Christmas for themselves and their MG’s. Carol and I thank you for your support throughout 2018 and wish you all a very Happy Christmas. 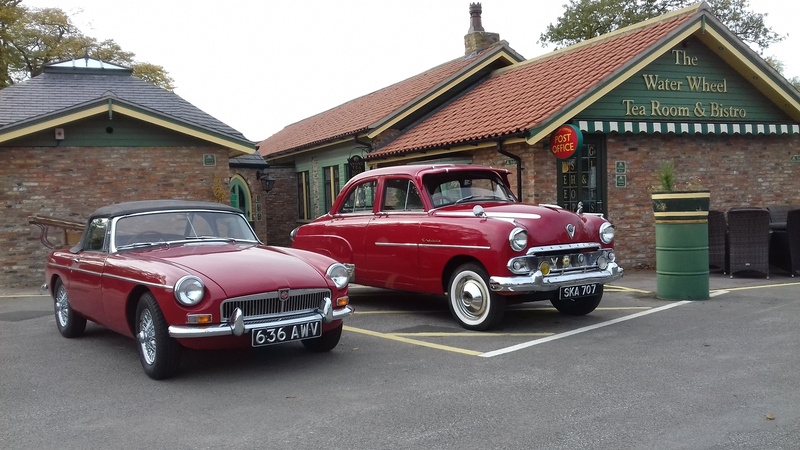 Many thanks to all those who have supported the Lunch in the Country runs this year, looking back through my rose-tinted specs I don’t think we have had less than glorious weather to enjoy the scenery both north and south of the Humber. We already have a couple of suggestions of new venues for next year but and with over 20 on file, I am sure we can come up with a few we haven’t visit for a couple of years or more. 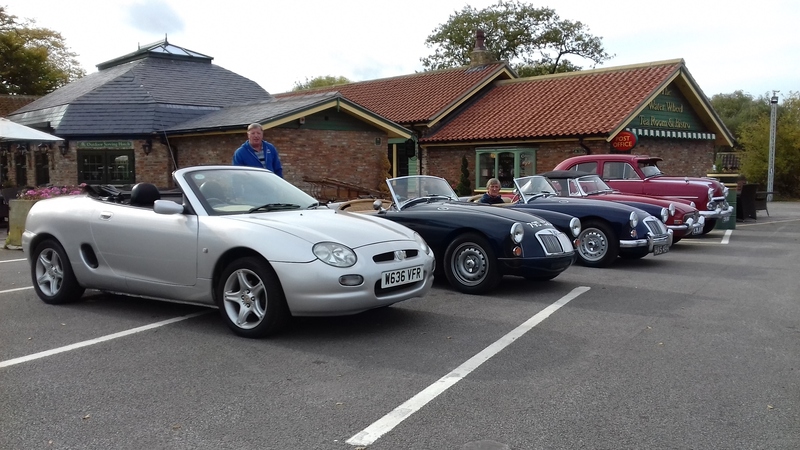 For our final lunch of the year Oli sorted out a run to The Water Wheel Tea Rroom & Bistro at Howden, Oli had some misgiving about the route but it was a good mix of roads and villages and well received by all who came along. As for the Water Wheel I gather the owner is a veteran car fan and he has created a motoring themed watering hole well worthy of a visit. 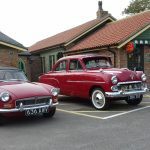 Tiger Natters are held from 12:00 noon on the first Wednesday of the month at The Tiger Inn, Lairgate, Beverley, HU17 8JG. The sun was shining again for our last run of the season, a morning jaunt around the various historical sites around York, put together by Dave Fletcher. We welcomed a new member, Keith Overton and his wife in their MGB; they joined the run with a friend in a bright green 2CV. Over lunch, some of us had a go at the inter-natter quiz. We also welcomed Geoffrey Wilson and his son Nigel in their 1939 maroon VA. Geoff, and ex-WW2 Lancaster pilot, must be one of the oldest members of the MGCC and Yorkshire Centre, and still very active showing his car at various local events. Thoughts turned to a new run for 2019 venturing into “Heartbeat Country” for the spring/summer period. Happy Christmas to all from the Vale of York Natter.